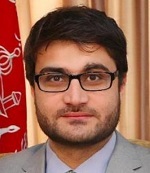 The Washington Post: Hamdullah Mohib, Afghanistan’s new ambassador to the United States, representing a country where 75 percent of the population is younger than 35 — and has never known a day of peace. And is sick of it. “We’ve lived through conflict all our lives, since the day we’re born,” explains Mohib. “We didn’t choose it; it was imposed war on our generation. How long do we bear this?” Click here to read more (external link).